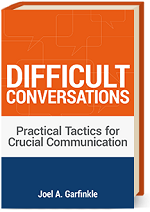 Win a Copy of Getting Ahead! 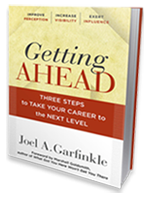 There are some exciting changes underway at the Career Advancement Blog, and to celebrate, we’re giving you the chance to win a copy of Joel Garfinkle’s career coaching book, Getting Ahead. But first, let’s talk about the changes. Starting Thursday, July 26, we’ll be publishing two weekly columns: Q&A with Joel on Mondays and Real Leaders, Real Stories on Thursdays. Everyone likes a good story, and we know you’ve got some good ones to tell. Here’s your chance to share your leadership story with other leaders. Let us know if you’d like to be featured in our Real Leaders, Real Stories column, and we’ll make it happen. You can write it yourself or one of our writers can help you put your story into words. The stories in this column will have something to do with leadership or career advancement and will include action items or tips to help other leaders learn from your experiences. 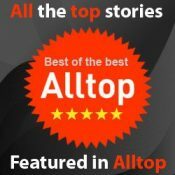 Click here to submit your story idea. 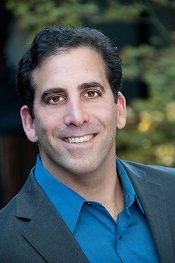 Q&A with Joel is just what it sounds like—a chance for you to ask career and leadership questions and get answers from an experienced executive coach. Ask your questions in the comment section of the latest Q&A with Joel column, and each week, Joel will select one question to answer in his next column. To get things started, can comment with a question on this post, and Joel will use one of those questions for his first Q&A. As part of our blog re-launch, we are giving away a copy of Joel’s latest book, Getting Ahead. The giveaway starts at 12:01 am EST on 7/23/12 and ends at 12:01 am EST on 7/30/12. Use the Rafflecopter widget below to enter. 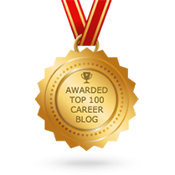 Are you ready to propel your career to the next level? 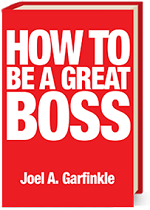 Don’t wait to see if you won the book: Contact Joel Garfinkle for career and executive coaching today! Talkback: Do you have a question for Joel’s Q&A column? Leave it in the comment section below, and your question could be featured in the very first Q&A with Joel next Monday!